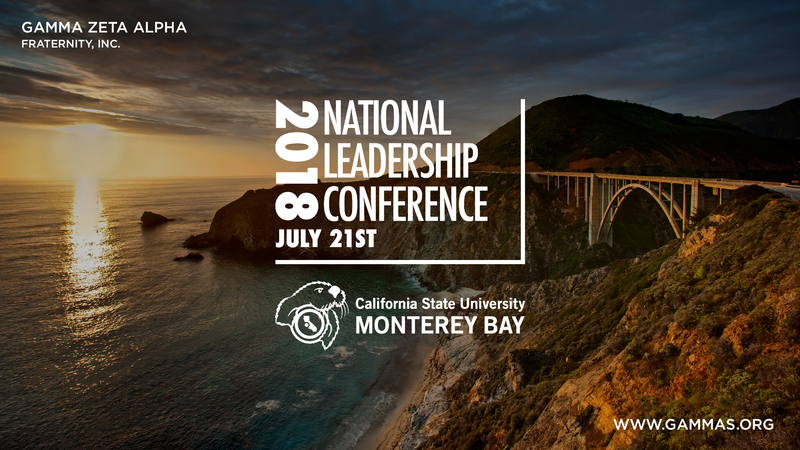 National Leadership Conference at CSU Monterey Bay - Gamma Zeta Alpha Fraternity, Inc.
Gamma Zeta Alpha Fraternity, Inc. invites you to the 2018 National Leadership Conference hosted by the Lambda Chapter at California State University, Monterey Bay on Saturday, July 21st, 2018. This year we continue to celebrate 30 years of Gamma Zeta Alpha Fraternity, Inc. We recognize our strong foundation with a multitude of achievements, but we recognize that the road does not end here. We must continue to prepare ourselves for the future. We will focus this year’s conference at building upon our strong foundations to reach new heights. The national leadership conference will also provide an update on some key topics for the organization. Brothers are encouraged to engage in open discussions throughout the event. Given that this is a free event, no breakfast or lunch will be provided, but various options are available on campus. Please make sure you receive a confirmation email after you register. We hope to see you Brothers at this year’s leadership conference.